Cebu Pacific Promo Fare: SEAT you soon! 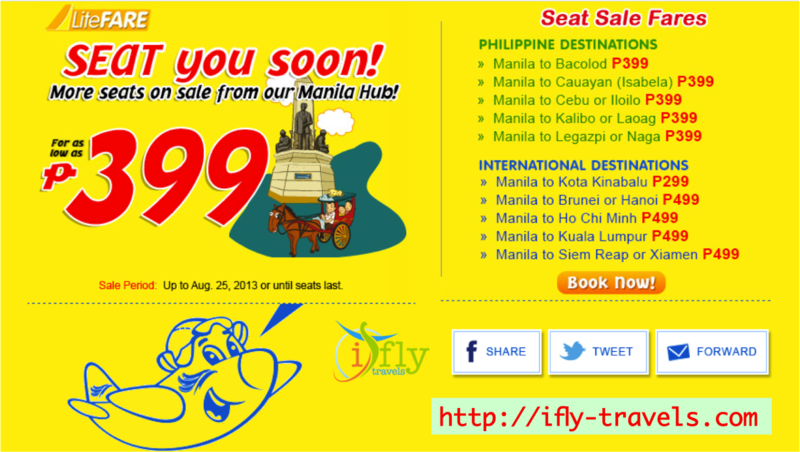 More seats on sale from our Manila hub! Selling Period: Up to August 25, 2013. Our latest #CEBseatsale starts now. If you are based now in Manila. You can avail these seat sale promo! Lowest rate you can get as BASE fare is P399. For international trips, you can visit Kota Kinabalu from Manila for a BASE fare of P299. Log on to http://www.ifly-travels.com/book-flight/ to book your next flight with us!